Keep more of your money - Lower fees than eBay and Etsy, and an audience looking for exactly what you're selling. 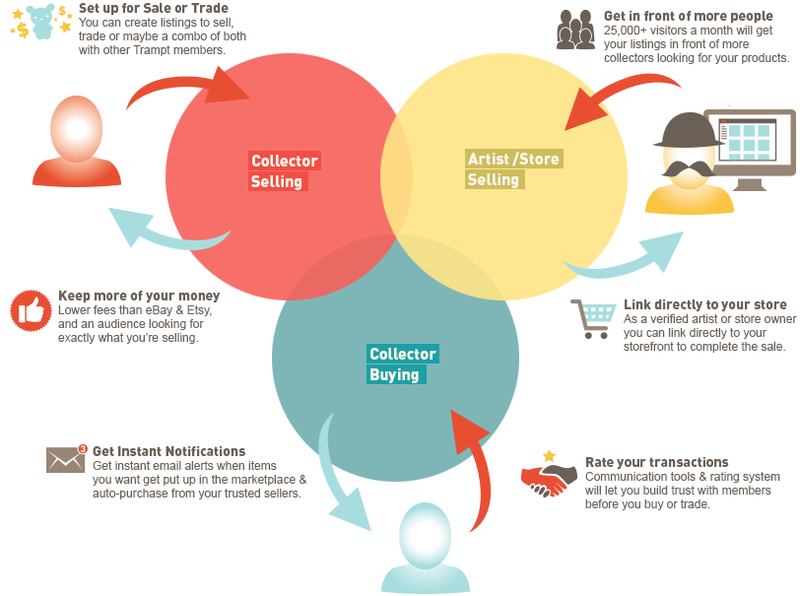 Link directly to your store - As a verified artist or store owner, you can link directly to your storefront to complete the sale so you can keep your existing service. Get instant notifications - Get instant email alerts when items you want get put up in the marketplace & auto-purchase from your trusted sellers. Rate your transactions - Communication tools & rating system will let you build trust with member before you buy or trade.